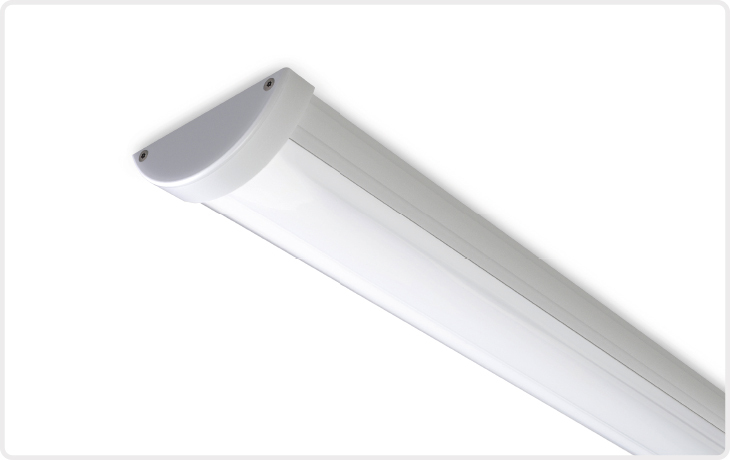 Linear LED fitting with a slim-line curved profile capable of continuous mounting (available with optional cable trunking system). Machined aluminium end caps secured by anti-tamper fixings. 3mm opal polycarbonate control lens designed to achieve superior optical performance. 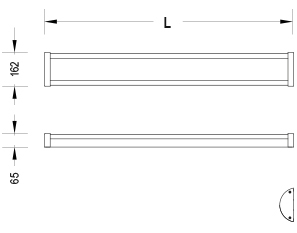 2250, 2450 & 2900lm are supplied set to ordered level but version for on-site switchable output is available – add suffix "ADJ". 4500, 4900 & 5800lm are supplied set to ordered level but version for on-site switchable output is available - add suffix "ADJ".